Do you travel to and from work? Travel for work? Want to learn some tips and tricks for traveling in your personal life? If so, this is the episode for you! Service Hospitality has teamed up with the Saskatchewan Association of Rehabilitation Centers (SARC) and the Sheraton Cavalier in Saskatoon to bring you this very informative episode. CLICK HERE to watch the recorded session on our YouTube Channel! Do you struggle with managing outstanding injury claims but have limited time to spare? Are hefty surcharges putting a burden on your bottom line? If so, this is an episode you won’t want to miss! 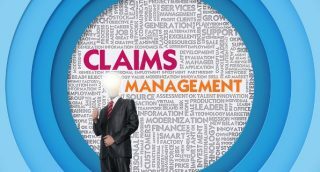 We will have the entire Service Hospitality Advisor Team together to discuss a number of hot topics in the world of Claims Management! Do you have young workers in your workplace? Are you concerned about the safety of your young workers and how you might be able to help them to prevent injuries within your organization? With Youth Safety Education Day coming up we want to educate and inform you more on youth safety in the workplace! Does someone you care about handle knives on a daily basis either at work or at home? If so, you need to watch this episode now! Join us on location at Prairie Meats with Safety Advisor Lisa Chavady & special guest Tim Grabowski. Do you handle food on a daily basis in your workplace or at home? 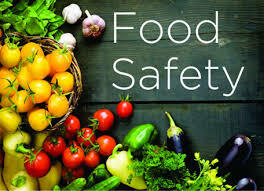 If so you should take the time to learn more about the consequences of mishandling food, food poisoning and some common misconceptions about food safety! Tune in for our Food Safety Episode featuring Safety Advisor Irene Lam and special guest, Russell Scott from Food Safety 1st. 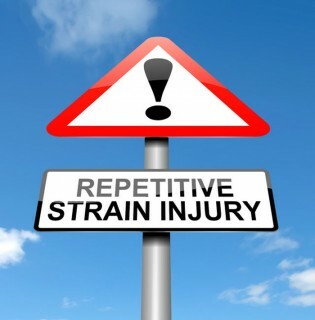 Repetitive Strain Injuries (RSI’s) can strike anywhere at any time. The scariest part? They can often go unnoticed until they have already caused harm to your body. In this episode we were on location at Pro Sport Rehab & Fitness in Saskatoon where we conducted TWO exclusive interviews with Corey Young – Physical Therapist and Blaine Whyte – Athletic Therapist. Would you know what to do if an emergency situation were to arise in your home or work environment? 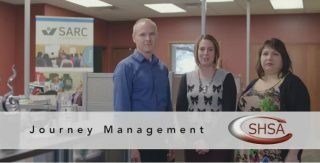 In this episode, we were live on location at the City of Saskatoon’s Emergency Operations Center where we conducted TWO exclusive interviews with Ray Unrau – Director of Emergency Planning and Deb Davies – Emergency Measures Coordinator.